Patient Information │ Denis A. Quagliariello, D.M.D. At the office of Denis A. Quagliariello, D.M.D., we make it a point to always treat our patients with respect they deserve while providing a warm and welcoming environment where they will receive the highest quality of dental care. Our goal is to have every patient leave our office knowing they received the services they need to maintain a healthy mouth. Dr. Quagliariello is currently accepting new patients. Please call our office at 610-692-3312 to schedule an appointment. 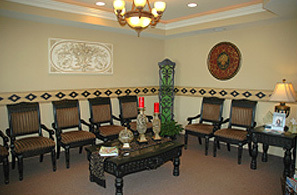 Once you make an appointment at our office, that time will be reserved for you. If, for some reason, you are unable to keep your scheduled appointment time, call us as soon as possible to reschedule to avoid missed appointment fees. For your convenience, our office accepts cash, check, Visa, MasterCard & American Express.